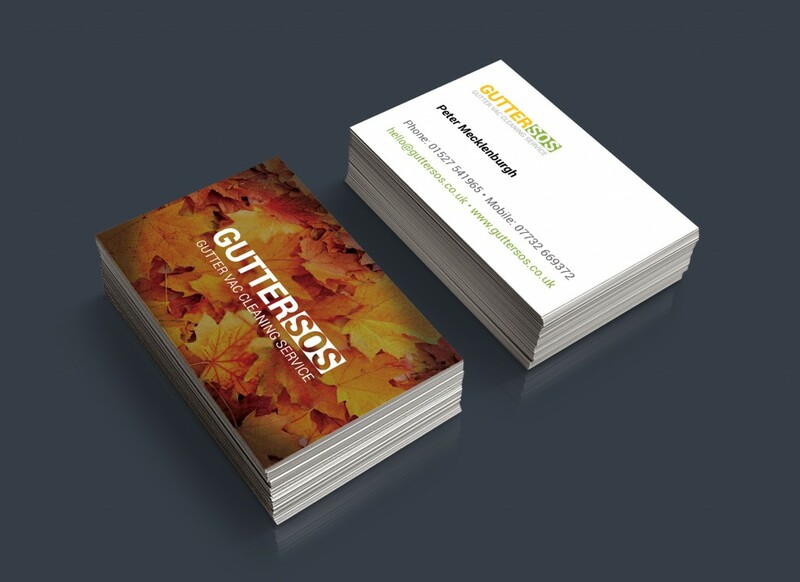 Gutter Specialist, Peter wanted a low cost web presence to advertise his gutter cleaning services to a wider market. Gutter SOS is a start up based in the West Midlands specialising in professional gutter cleaning services in the residential and commercial sectors. Peter contacted Refresh Studios when he realised the company could reach a wider market online. We quickly identified the need to start with the companies branding and then to produce a simple website to sell the business to potential clients. Our designs for the website followed the new company colour scheme. 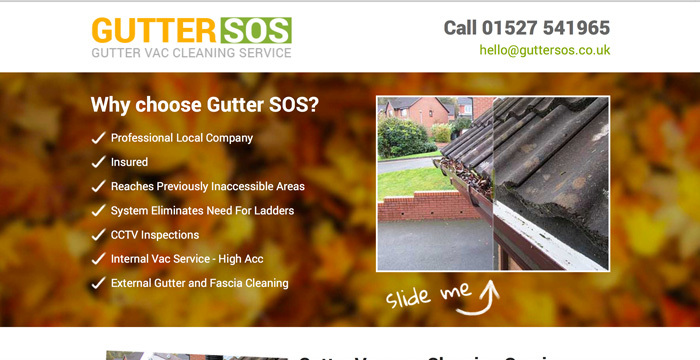 We decided, due to the simplicity of the services offered by Gutter SOS, they only required a one-page website. This allowed us to work inside Peter’s smaller budget. The site features a unique way of displaying example before and after photos for their recent jobs. The slider keeps the customers attention by encouraging them to interact and drag the slider between the before and after photo. The bottom of the website includes a simple contact form allowing potential customers to get in touch and request a quotation.